The departments mentioned ban the possession of guns from public parks and state forests, unless the person is actually hunting with a valid hunting license. This is not the club s first involvement in a lawsuit. It filed a brief in support of a 2010 complaint by two residents against the Wilmington Housing Authority and the authority s ban on guns in common areas of its public housing complexes. In 2014, the Delaware Supreme Court decided that the ban was unlawful under Delaware s Constitution. Also unlawful, the court decision said, was the authority s requirement that residents who owned guns have any permit or license available at all times for inspection. We were successful in ensuring that people who live in public housing have the same rights as everyone else, Hague said. Winning the current suit would benefit people who travel to Sussex County to participate in shooting competitions at the rifle club, Hague said: We have a lot of competitors who like to go camping. They like to come down for a weekend, attend a match and then camp at Trap Pond State Park. It would seem the suit is a slam dunk. The constitutional provision is clear. Precedent has been established by a previous state supreme court decision. But the local Superior Court Judge was not convinced. On Friday, a Superior Court judge ruled in favor of the state, saying the regulations do not violate Delaware’s Constitution. 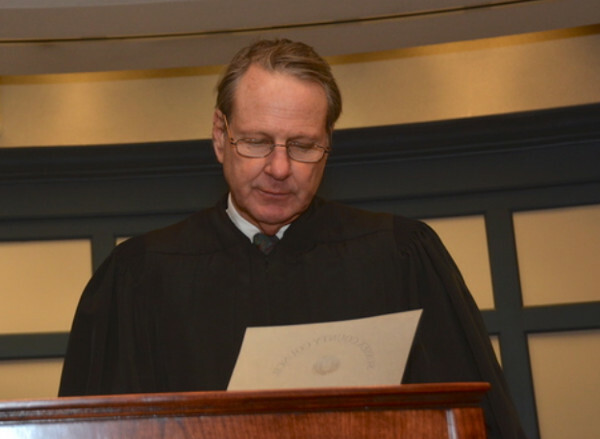 “The regulations do not run afoul of the Delaware Constitution, defendants were not pre-empted by the General Assembly in enacting the regulations, and defendants did not exceed the scope of the authority granted to them by statute in promulgating the regulations” wrote Judge T. Henley Graves. The logic here seems to be that the regulatory agencies were not stopped from violating the state constitution by the legislature, when the regulations were passed. Therefore the agencies did not exceed the authority given to them by the General Assembly? The judge concluded that the state agencies have an important governmental objective of keeping the public safe from the potential harm of firearms in parks and forests. So, a constitutional provision that guarantees the right to protect yourself with arms, can be overridden by a regulatory agency because the agency has an important government objective of “keeping the public safe from the potential harm of firearms”? The Bridgeville Rifle & Pistol Club’s facebook page, and the Delaware State Sportsmen’s Association’s webpage do not have any response to the judge’s decision yet. Judge Graves may believe the decision is up to a higher level court than his. I expect that an appeal will be filed.